Recorded live from a past life. Awash in the hypnotic looping structures of Robert Fripps guitar soundscapes, Jeffrey Fayman adds an opulent cinematic brilliance to the proceedings, creating an intense and dramatic vision of a future rich in the heritage of Fripps past. A Temple In The Clouds is a unique collaboration between one of rocks most important and influential guitarists and a contemporary cinematic composer. 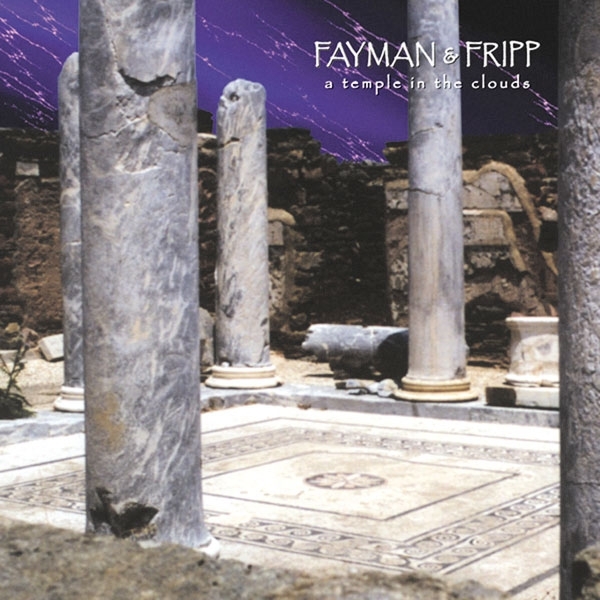 Fripps contribution of two hours worth of treated guitar work (his trademark Frippertronics) formed the basis for Faymans layering of interwoven electronic soundscapes. Focusing on the subtleties and slight shifts in overtones and harmonics, Fayman & Fripp have created a dynamic musical kaleidoscope, ever changing and intrinsically radiant in each sonic fractal.